Thank you to the all the parents who completed the 2018-2019 school climate survey. 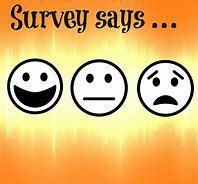 Last year 39 parents completed the survey and 57 completed the survey this year! We appreciate you taking the time out of your busy day to give us this vital feedback. The results will be shared at our next parent meeting on October 17 at 5:30 in the school library. The results will also be posted on our website after October 17. The school board and school improvement committee will examine the results along with parental input to determine focus areas for improvement.